MUSIC fans’ summer just hit a sweet note with the announcement of Territorios Sevilla 2016’s first confirmed artists. 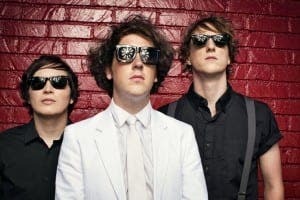 Liverpool trio The Wombats, whose single Let’s Dance to Joy Division won an NME award in 2008, will headline the annual event over May 20 and 21. Legendary group The Tindersticks is another confirmed act, with lead singer Stuart Staples’ distinctive style drawing comparisons with 60s crooner Scott Walker. Murcia rockers Neuman will also play at the festival, now in its 19th year.